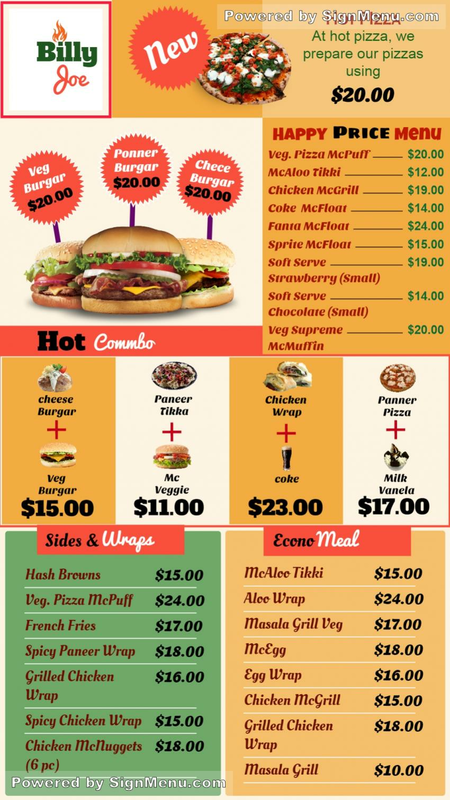 This template depicts fast food items mainly non-veg with special price points and offers.. When these listings on a digital screen with new year greetings - the effect would be electrifying. New and more customers are certain to come in and check you out ! Further, digital software has enabled you to customize your menu content and promote your up-sells & cross-sells at any time of the day / week. And you can update or alter your menu content anytime, and from anywhere. This template provides a benchmark for your actual menu and is ready for download and use.